A few months ago, one of the bloggers that I follow sent me a bulk e-mail suggesting I take a personality test called “the Enneagram.” According to his e-mail, this test was going to help me understand myself and others better. It would help me become more effective, both personally and professionally. The e-mail caught my attention, but I was at a hectic place in life so I cruised on by. If you know me well, you know that this was unusual for me. My favorite form of entertainment is listening to audio books or podcasts that focus on topics about to be a “better” person — more productive, more organized, more focused. I love taking tests that help me understand myself better. I also love any type of tool that helps me understand other people better. I have to say I was more than a little disappointed when my results came back. 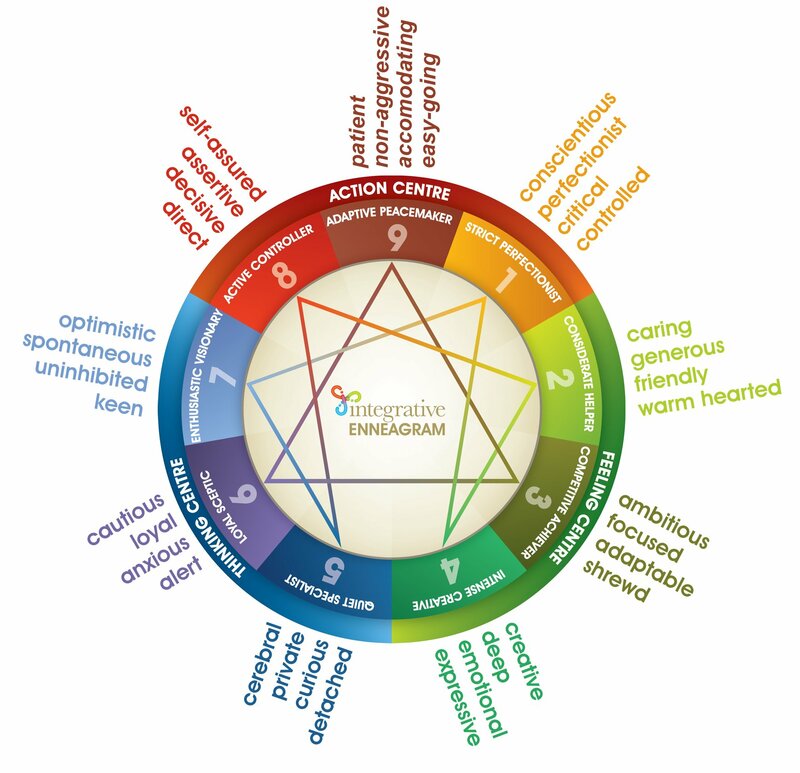 The Enneagram is an ancient tool that identifies nine basic personality types. It explains how these personality types see and interact with the world in different ways. My result said I was the number 1: Perfectionist. I could see how this might be true, but it really wasn’t the answer I wanted to hear. I’ve been working my whole life to battle my perfectionism, so I thought maybe I had made enough progress that the test wouldn’t smoke me out. I was curious enough to understand more about my results that I used my Audible credit to download the author’s book, The Road Back to You. The next day, I went into work and ran into a friend who is equally obsessed with understanding people and what makes each of us unique. “Have you ever taken the Enneagram?” I asked. “Ugh,” I was thinking. “I thought that maybe I had answered the questions poorly and my result had come out wrong.” But somehow, the one person I know who likes to study personality types as much as I do had pegged me without even having to think about it. The author of the book goes through each of the nine Enneagram types in great detail, explaining their tendencies, strengths, weaknesses and challenges. He started with an explanation of the number 8 and worked his way around to 9, before hitting on 1. So, I had a few hours of listening before he got to me. At the beginning of each chapter, he gives 20 statements that describe someone with that personality type. I was dumbfounded as he summed me up in perfect detail. I laughed, I cried and I shook my head as he continued to describe my life so perfectly that I felt he had known me for decades. This total stranger seemed to know me better than my husband, my closest friends or my own mother! I’m only half way through, but there are a few things that I love about this book. 1. The author describes what each personality type looks like when in a healthy place, versus a neutral place or a negative place in life. While it’s easy for me to get discouraged about my perfectionist tendencies and how they can negatively impact others, he gives examples of how each personality can be an asset in a work environment and a blessing to friends and family. 2. Each number has two numbers on the opposite side of the Enneagram number wheel that also apply to that personality type. One is where we go in times of stress, and the other is where we go when we’re feeling secure. This is really helpful to understand why we sometimes act completely out of our normal character or how we can take on the positive qualities of another personality type. 3. Probably the most helpful to me was the list he gave at the end of each chapter: 10 paths to transformation. He gave some great tips that can help better handle the challenges of each personality type and in my case, tame my inner perfectionist. Here are a few of the things that I learned about being a 1. 1. As a perfectionist, I’m constantly on the lookout for how I can make things better. This can come across as critical or demanding if I’m not careful how I communicate with others. 2. I have a relentless inner self critic, who never gives me a break. If I make a mistake or even sense that I might have made a mistake, I will spend hours, days or even weeks, reviewing it in my mind and basically beating myself up. By the time someone else points out my flaw, I have usually thought about it for so long and in such great detail that it’s difficult for me to hear their critique. 3. I love creating systems to make things run more smoothly or organize the chaos around me. That’s why I’m constantly trying to organize my house or create checklists for my kids. It’s also why I enjoy creating systems at work. 5. As a 1, I’m constantly trying to learn how I can be better at the things I do. Oh. My. Goodness! So, THAT’S IT! I’ve wondered why I’m so obsessed with constantly trying to absorb information to help me work smarter, improve my productivity, be more organized. Oh my. I’ve been devouring this book this week, and I love listening to all of the descriptions of the different personality types. I feel like a huge light bulb just switched on for me to help me understand not only myself, but some of my closest friends and co-workers. “NOW I get it!” I’m constantly saying to myself as the author describes someone I know. With that said, I would love to know you’re Enneagram number! If you want to take the test yourself or learn more, click here. Then let me know your score!